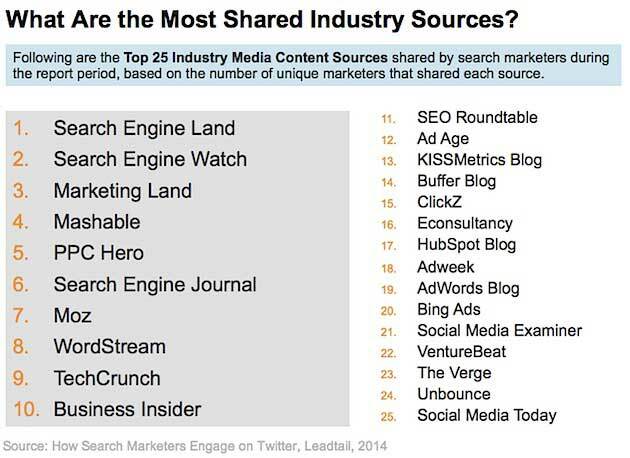 Search Engine Land is the industry source most shared on Twitter by search marketers, according to a recent analysis by Leadtail. 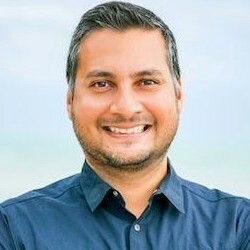 The report was based on data from 105,121 tweets sent by 521 North American search marketers active on Twitter, most of whom are SEM practitioners who tweet under their own names rather using brand, agency, or company handles. The rest of the top 10 most cited industry sources by search marketers are Search Engine Watch, Marketing Land, Mashable, PPC Hero, Search Engine Journal, Moz, WordStream, TechCrunch, and Business Insider.